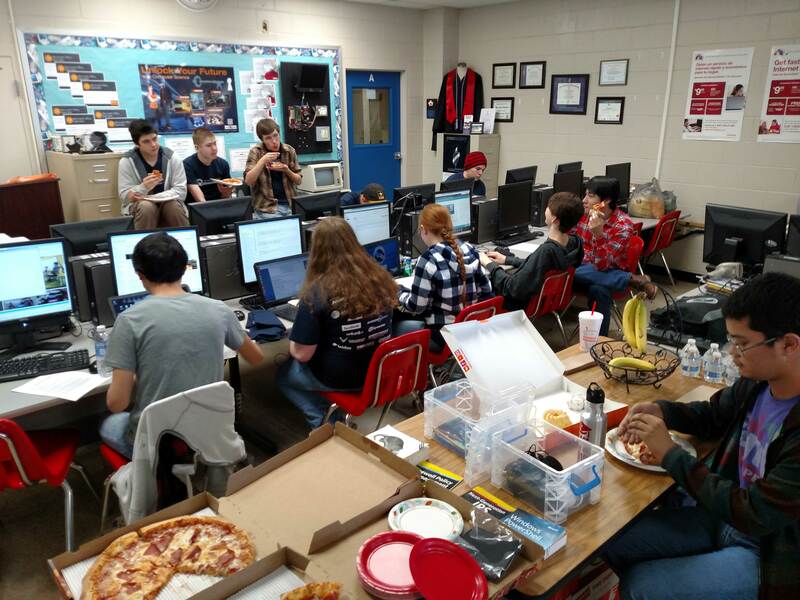 Cyber Knights will provide and promote opportunities for students to develop and apply computer science skills. Provide extra-curricular training on computer science topics such as system/network security, mobile app programming, computer animation, robotics, etc. Conduct intra-school and intra-district computer science competitions. Sponsor teams for state, national, and international computer science competitions. Promote Stratford computer classes to Stratford students and middle-school students. No experience is necessary and you may start on any Tuesday during September or October. Recent Highlights (January 2016) - Cyber Knights Win State Competition! Four teams competed in the recent State Championship of the National Youth Cyber Defense Competition. Two teams won 1st Place in their respective categories (teams compete in either the OPEN Division or the JROTC Division, in either Platinum, Gold, or Silver tiers. Stratford won 1st Place in the OPEN Division Gold tier and 1st Place in the OPEN Division Silver tier. The Gold tier was won by Austin Riddick (team captain), James Lin, Charles Ritter, and Josh Smith. The Silver tier was won by Elizabeth Ruff (team captain), Danielle Di Pace, and Lizeth Santiago. Sign up for text reminders using our secure and safe Remind Messaging System.